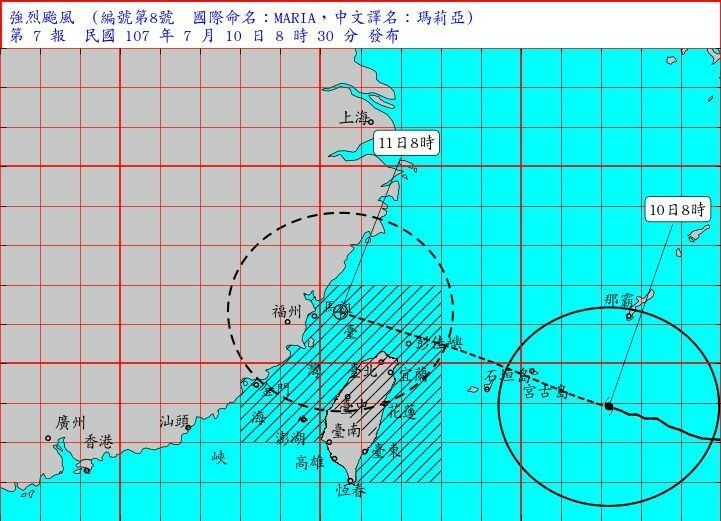 Taiwan braces for impact with Super Typhoon Maria at 5 p.m.
TAIPEI (Taiwan News) -- The periphery of Super Typhoon Maria is expected to make landfall at 5 p.m. this evening (July 10) as the Central Weather Bureau (CWB) has issued a land warning for 13 cities and counties in Taiwan and a heavy rain warning for 19 cities and counties. 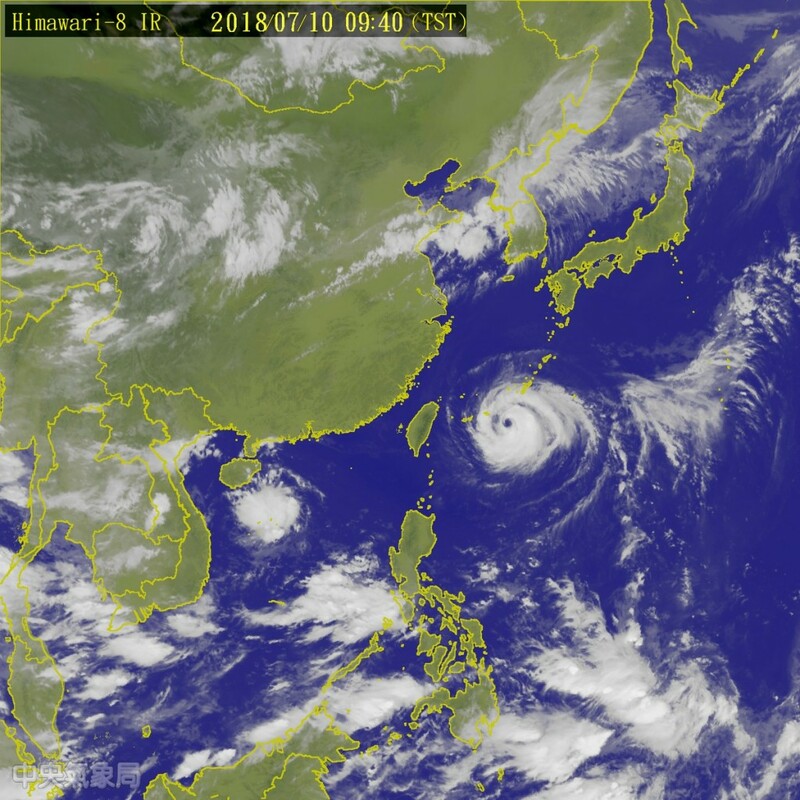 As of 9:15 a.m., the CWB reports that Super Typhoon Maria was located 530 kilometers east of Yilan and is moving northwest at a speed of 28 kilometers per hour. 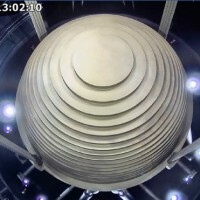 It has a radius of 280 kilometers and is packing maximum sustained winds of 190 kilometers per hour with wind gusts of 234 kilometers per hour. 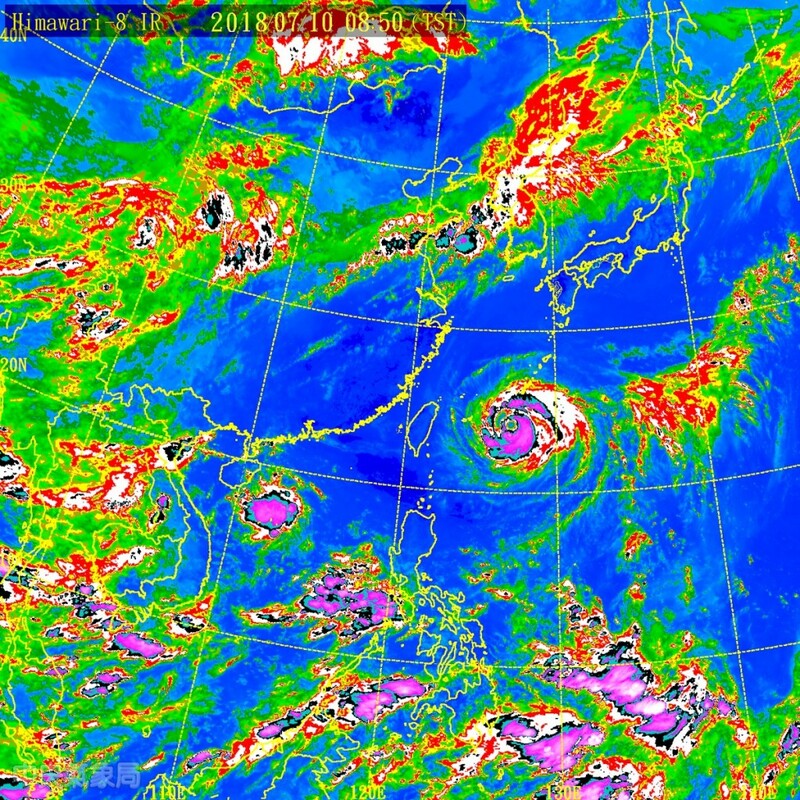 The CWB predicts that by 8 p.m. Wednesday (July 11), the eye of the storm will come within 180 kilometers to the northwest of Keelung. 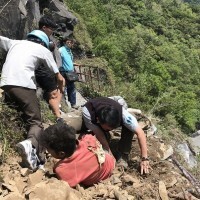 A land warning has been issued by the CWB for Nantou County, Keelung, Yilan County, Changhua County, New Taipei City, Hsinchu County, Hsinchu City, Taoyuan City, Taichung City, Taipei City, Hualien County, Miaoli County and Lienchang County. 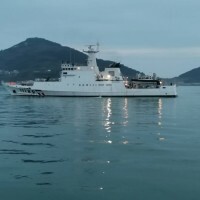 In addition, the CWB has issued an extremely heavy rain warning for New Taipei City , Taipei City, Keelung City, Yilan County, Hsinchu County, Miaoli County and Taichung City, while a heavy rain warning has been issued for Hsinchu City, Hualien County, Changhua County, Nantou County, Chiayi County, Chiayi City, Yunlin County, Tainan City, Kaohsiung City, Taitung County and Pingtung County. 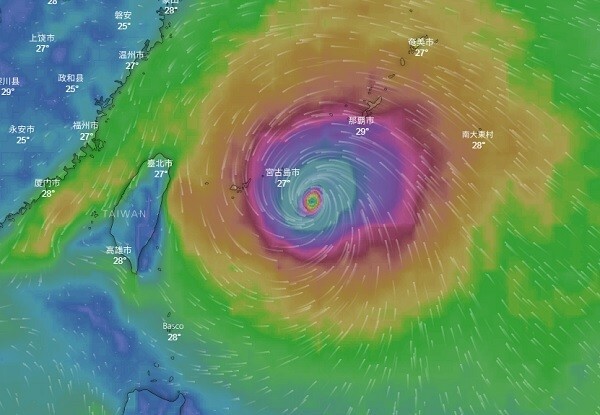 CWB technical specialist Huang Chun-hsi (黃椿喜) estimates that the periphery of Maria could bring 300 mm to 400 mm of rainfall to the flat areas of the greater Taipei area, while mountainous could register up to 500 mm of rain. 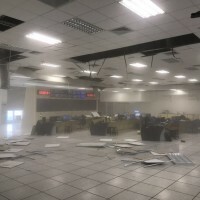 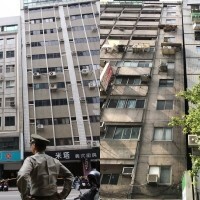 He said the storm could also bring wind gusts of intensity 11 to 12 early tomorrow morning, and Huang reminded the public that the winds will be strongest from this evening to the early hours of tomorrow morning, therefore people are advised to make necessary precautions for strong winds. 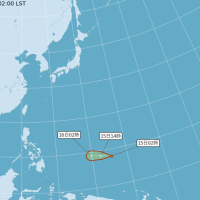 Peng Chi-ming (彭啟明), CEO and founder of WeatherRisk Explore Inc. on his Facebook page predicted that the periphery of Super Typhoon Maria will make landfall at about 5 or 6 p.m. this evening. 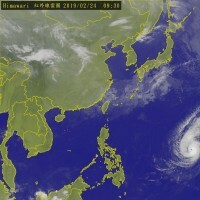 Peng predicts that at that time northern, northeastern, and eastern Taiwan will begin to see heavier winds and rains that will continue to grow in intensity until peaking at between 8 a.m. to 10 a.m. tomorrow morning. 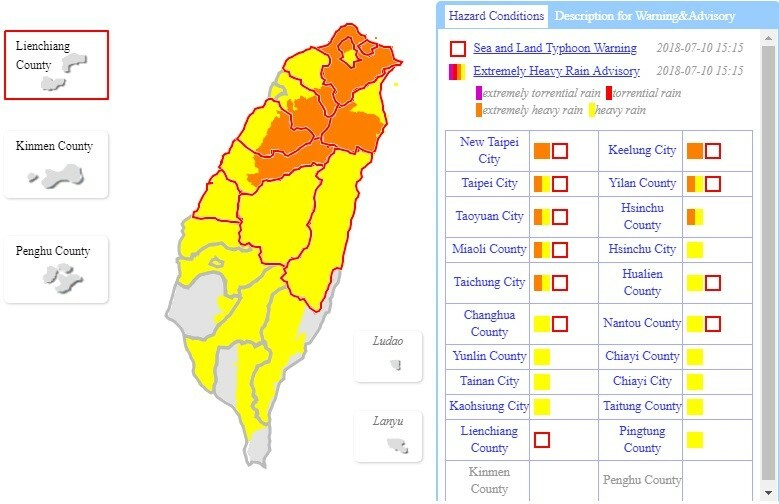 CWB map showing Sea and Land warnings and heavy rain advisories. 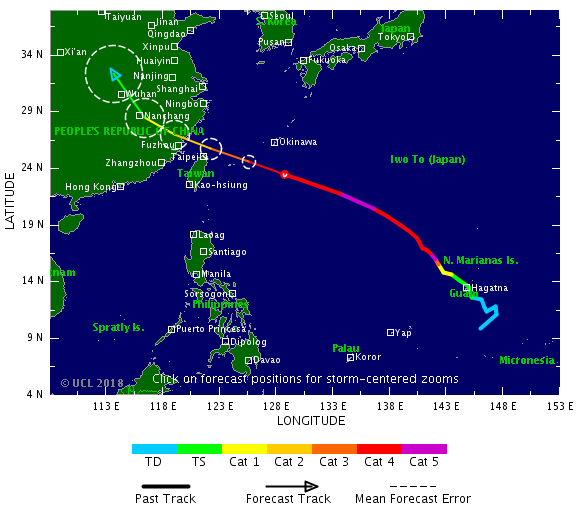 Map from Tropical Storm Risk.